“Always family” is a constant reminder of the unity that comes from playing under head coach Jason Flowers. 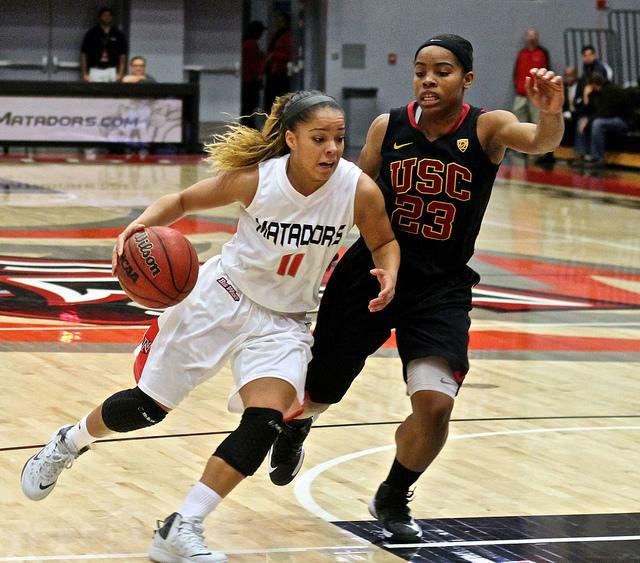 One can’t reference the CSUN women’s asketball team without the quote coming to mind. 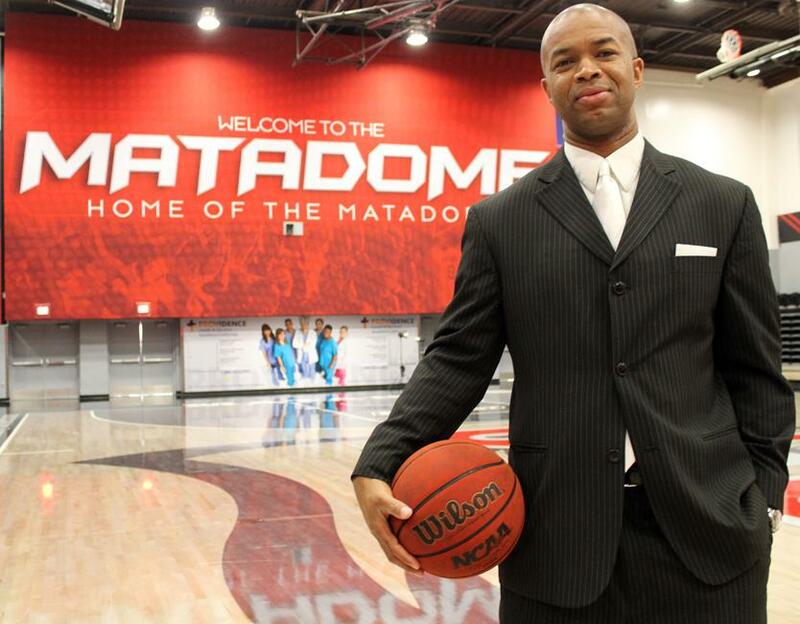 Flowers, a two-time Big West Conference Coach of the Year, is going into his fifth season as the CSUN women’s basketball coach. 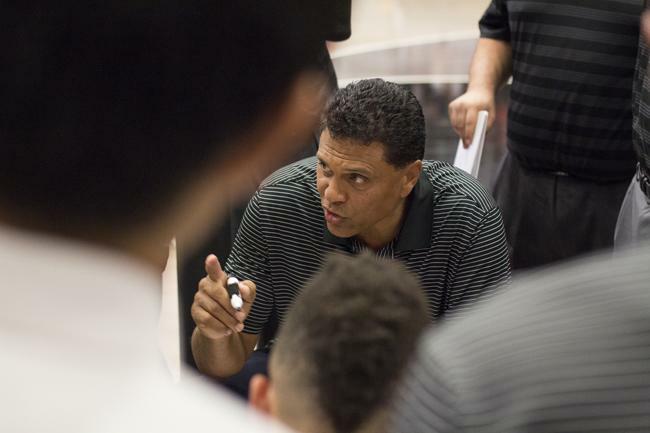 Under his tutelage, the Matadors reached the NCAA Tournament during the 2013-2014 season for the first time since joining the Big West Conference. 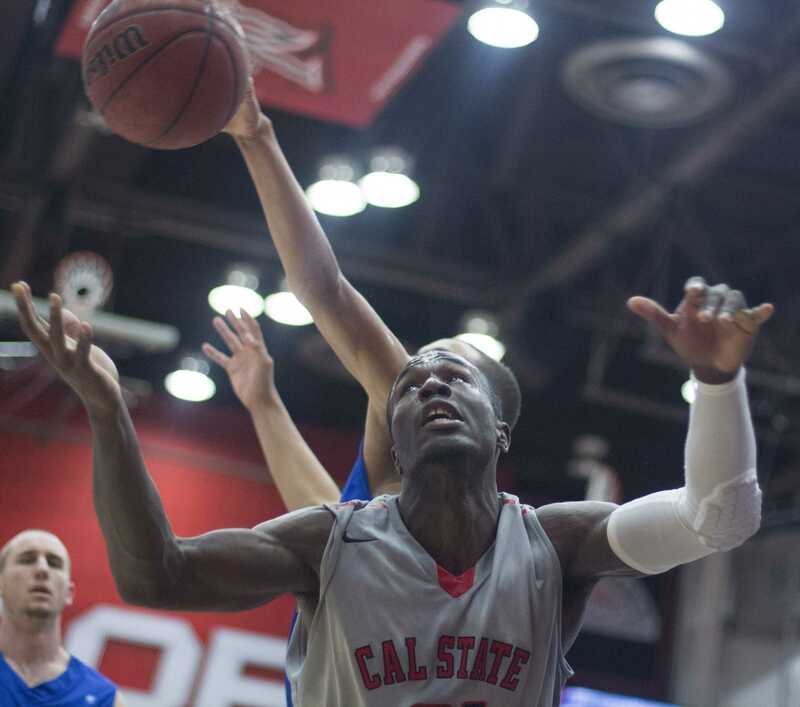 After a season of accomplishments that has put CSUN on the NCAA Tournament map, Flowers looks to continue to build on last season. He said the biggest takeaway from the NCAA Tournament was a confidence in how good their abilities are. “It’s one thing to tell somebody that or to tell a group that, but it’s another thing for them to actually see it for themselves and be in the midst of it,” Flowers said. The team’s recent success has not only made the team ranked No. 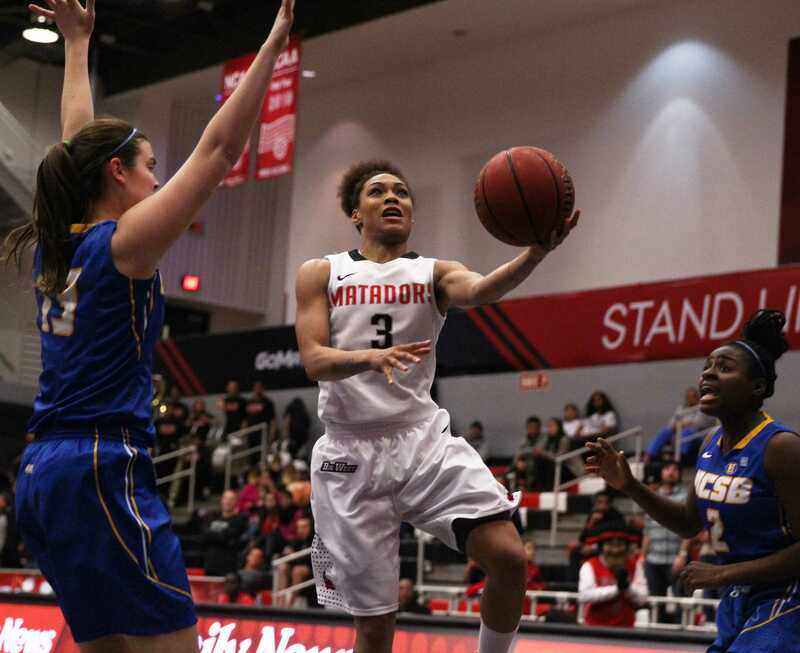 1 in the Big West Conference Preseason Poll, but they also received a vote in the AP National Women’s Basketball Poll. Still, Flowers feels there is no reason to succumb to the pressures from the media. He said the goal for his teams are always the same. Despite last season exceeding expectations, Flowers believes there’s still room for growth. He said he always tries to expose himself to different ways of thinking for the team to do things better. Flowers acknowledges those that have left a positive impact early in his career. 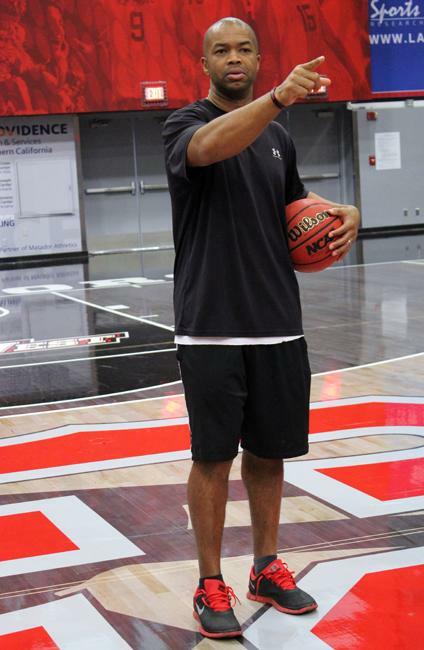 In particular, a former assistant coach whom he met during his playing days at Irvine. 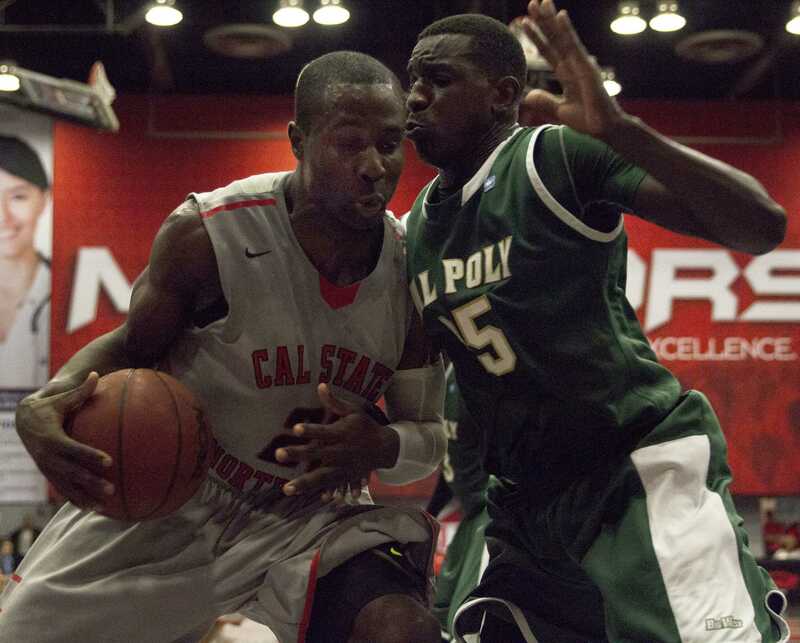 “A big influence on me for noble reasons has been Cameron Dollar (current Head Coach of Seattle). He’s taught me a lot about coaching, about leadership, about relating to people, and more importantly, he’s taught me a lot about life,” Flowers said. Life is something that Flowers considers to be a top priority when it comes to teaching his players. Senior guard Ashlee Guay recalls a significant point in her playing career when she had to learn things the hard way. She also recalled a time where she broke down after a three-on-three scrimmage against the coaches. Flowers said that instilling confidence in his players is one of the most important things he can do as a coach. The head coach said it is a process for his players to build that mentality. “It’s about building them to a point where they feel like they’re invincible but also knowing how to work with others,” Flowers said. Flowers strongly believes and lives by the idea of family. He remains in touch with fellow UCLA alumni on a regular basis which helps him maintain a tight relationship with other Bruins, which is something he hopes to pass on to his players. “My ultimate goal, when it’s all said and done, is to have a sorority of women who believe that their lives are a lot better because they played at our program,” said Flowers. Flowers wants his players to have memories and philosophies they can take with them throughout their entire lives.